ReaderGirls is a stop today for the young adult fantasy novel Cinder and Ella Virtual Book Tour. 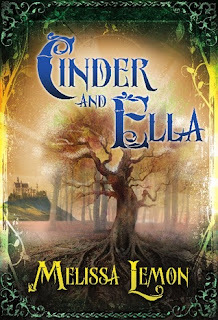 YA author Melissa Lemon is sharing a guest post with us about the special qualities of fantasy and why so many readers never tire of the genre, but first we'll tell you what Cinder and Ella is all about. We think the cover is cool--it has a blend of the magical touch of old fashioned fairy tales with a hint of modern day with the scrolling and supernatural lighting. Blurb: After their father’s disappearance, Cinder leaves home for a servant job at the castle. But it isn’t long before her sister Ella is brought to the castle herself—the most dangerous place in all the kingdom for both her and Cinder. 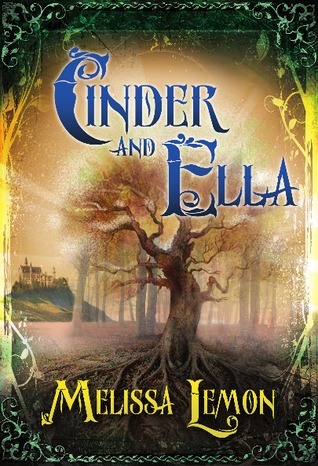 Cinder and Ella is a Cinderella story like no other and one you'll never forget. Why we can’t get enough of fantasy worlds. According to moi. Don’t get me wrong; there are wonderful things we can do as humans, and sometimes they may even seem like magic (like when my kids cleaned the toy room last night by themselves in record time). But I think for the most part, we live typical, repetitive, often mundane lives. Perhaps this is enough for some, but many of us crave a little more adventure, and that’s why we read and write those fantasy novels. They act like the fire escape outside our windows, but instead of leading to the street below, they sweep us off to some unexpected and usually charming—though at times fearsome— place. We get to leave our world behind for a time and enter a world with trolls, magic trees, or evil witches that we have to destroy. And when one book is over, we grab another, and the world is new again; there are more friends to meet, different obstacles to overcome, fresh heroes and heroines to fall in love with. But maybe we have more in common with fantasy characters than we realize. With all of the fantasy books I’ve read, not one character has been so good at what they do that they didn’t have to practice. Sounds a little human, doesn’t it? Usually they have families, problems, certain abilities or talents, and people who are trying to bring them down. Don’t we all have a little bit of each of those things? With fantasy, these elements of life are taken to a whole new level, but while on the journey, we learn how to deal with all of these things a little better. We breathe easier because it is nice to believe that someone is going through the same things (or worse). We don’t feel so alone. We can climb back up that fire escape, crawl through the window and face our lives again. It is a thing of beauty. Sometimes I wonder if we came from a place where things were a little more magical, and if part of us somehow remembers that and longs to have it again. Who knows? Anything’s possible, especially in a fantasy novel. Thanks for having me ReaderGirls! What superhuman ability would you have if you could choose? 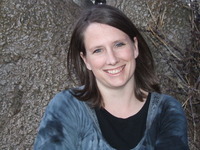 About the author: Melissa has had many imaginary friends (and enemies) since she was a child. Her vivid imagination had her writing stories and jotting down book ideas for years until she finally sat down and finished a novel. She is married to an awesome man and the proud mother of three children. Music is also an important part of her life and she shares time with her music students teaching them piano, cello or guitar. Melissa is a graduate of the University of Utah and currently resides in the Salt Lake area. We thank Melissa Lemon. Caitlin loves the retelling of fairy tales and can't wait to dive into Cinder and Ella. Her review will be posted closer to the book's publication date. I'm looking forward to this book. The cover is amazing. I will always be a fan of fantasy.